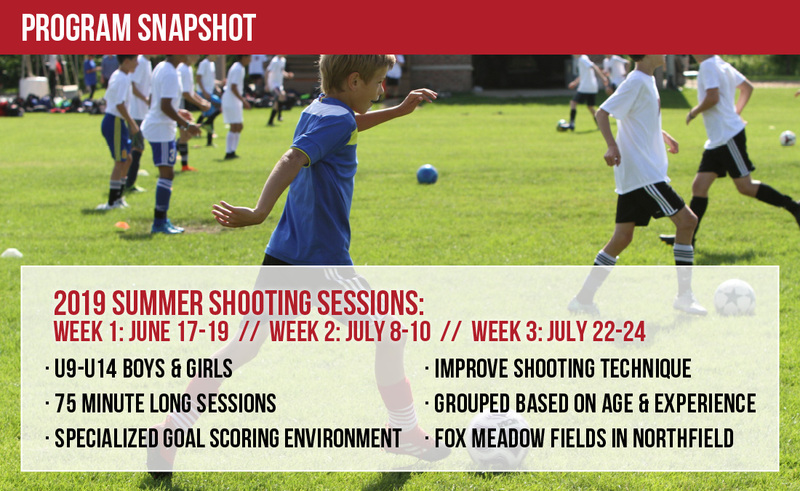 The Summer Shooting Sessions are a great way to improve shooting technique in a very specialized goal scoring environment. Players will be grouped based on age and experience level in order to get the maximum amount of repetition and shots on goal. The 75 minute sessions will include non stop action and goal scoring opportunities!